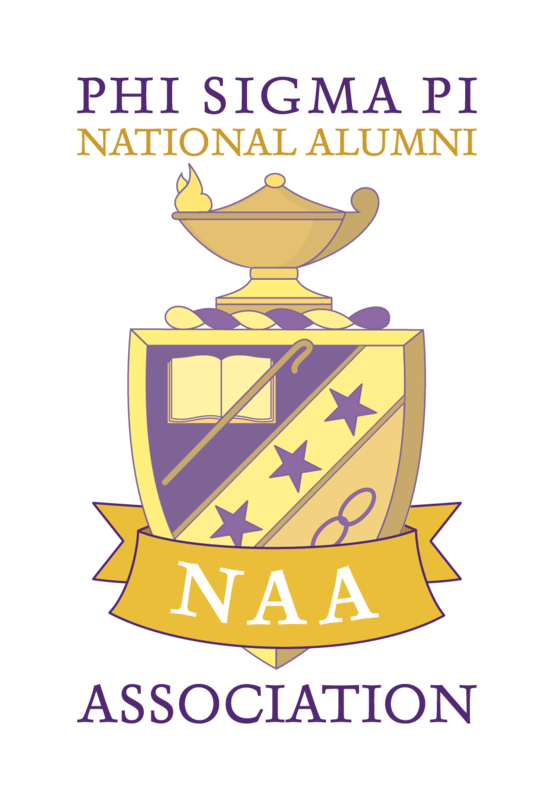 Whether you are a new graduate or have lost touch through the years, membership in the National Alumni Association (NAA) will increase your connection to the Fraternity. The purpose of the National Alumni Association is simple: to extend the benefits of Brotherhood beyond the collegiate years through social, educational and charitable opportunities. Members of the NAA enjoy benefits that include, being kept informed, event discounts, networking opportunities, acknowledgments of distinction and a stronger connection with the National Organization. In April 2003, the National Council created the National Alumni Association as a way to reconnect with Phi Sigma Pi's over 44,000 Alumni and to establish a positive role model for the thousands of collegiate Members nationwide who follow in their footsteps each year. The NAA is currently managed by the Fraternity. The National Alumni Association is an avenue for Alumni to find a balance between family, professional and civic demands with a genuine commitment to the Fraternity. The vision of the National Alumni Association embraces the belief that, in ways significantly different from their collegiate counterparts, Alumni are in fact the present and future of Phi Sigma Pi National Honor Fraternity. Be eligible to apply for the Rolla F. Wood Graduate Scholarship that supports NAA Members in furthering their education. NAA Members are eligible to join a local Alumni Chapter or Alumni Association that provides opportunities to connect with fellow local Alumni through scholarship, leadership and fellowship. Can't find a local Alumni organization? Start one! Stay informed and connected to the Fraternity through receiving The Purple & Gold, Phi Sigma Pi's bi-annual magazine delivered right to your doorstep. Share your exciting life updates with fellow Alumni by submitting news for the Alumni Avenue section of the magazine. Receive discount auto insurance rates through GEICO as well as discounts on national events. Joining costs as little as $31 per year. Now you can stay involved with Phi Sigma Pi and help the Fraternity that meant so much to you during your collegiate years. Joining the National Alumni Association is a quick, easy and effective way to start the transition from collegiate to professional. There is nothing to lose and much to gain. Starting in August 2013, memberships run on the fiscal year calendar.